Increased flexibility, even for wide-scale modifications late in the design stage, and the ability to modify 3D CAD modeling data while in a parametric model is now an achievable possibility. The Creo Flexible Modeling Extension (FMX) allows Creo Parametric to become increasingly flexible for designing and accelerates the user’s ability to answer any difficulties in design. Now, it is not necessary to create a separate model, which can’t be modified without undermining the initial design constraints. With Creo FMX it it simple to choose and adapt a full range of design geometry, as well as other feature such as rounds and patterns. Plus, the full design intent is maintained. 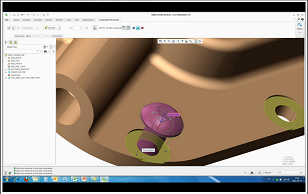 Creo FMX optimises your time and decreases mistakes in 3D CAD modeling. It is not necessary to create a separate model, which can’t be modified without undermining the initial design constraints. With Creo FMX it it simple to choose and adapt a full range of design geometry, as well as other feature such as rounds and patterns. Plus, the full design intent is maintained. 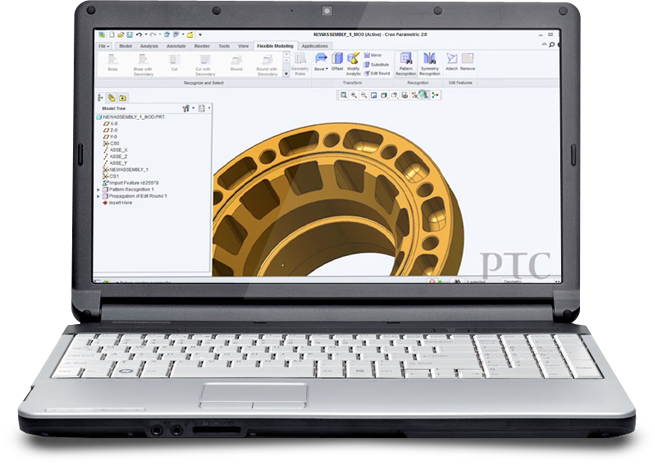 Creo FMX optimises your time and decreases mistakes in 3D CAD modeling. Quick geometry modification, which includes move, remove, attach, change, round, and more. Exact control when modifying cylinders, cones, etc. CAD tools are changing. 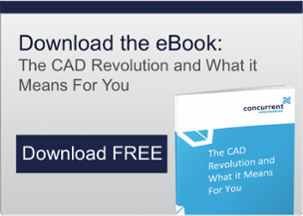 Discover how the CAD Revolution is impacting on product development and giving companies a competitive edge.